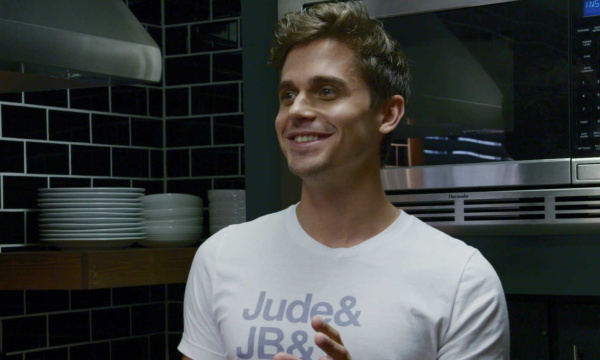 Queer Eye’s Antoni Porowski is, as you probably know, the food expert on Netflix’ wonderful TV show. But lately, he’s also the thirst expert – our thirst. Last month, he lost his pants for a naughty coffee break. Now, he loses… well, almost everything. 33-year-old Antoni “Toni” Porowski’s job on Queer Eye is to help the show’s stars enrich their culinary skills – often using avocados. Antoni himself used to work as a waiter and food consultant in NY, and according as an assistant to Ted Allen, who was the food expert on the original Queer Eye for the Straight Guy. But it’s not just about the avocados – and thankfully, Antoni knows what else we want from him, and he delivers on Instagram. In his latest photo, taken by none other than his boyfriend of seven years, Joey Krietemeyer, Antoni wears very little, with his bulge taking center stage. And yes, that photo is also an ad, but what can we say, it worked. The first season of Queer Eye is available on Netflix, and the second season will arrive later this year.